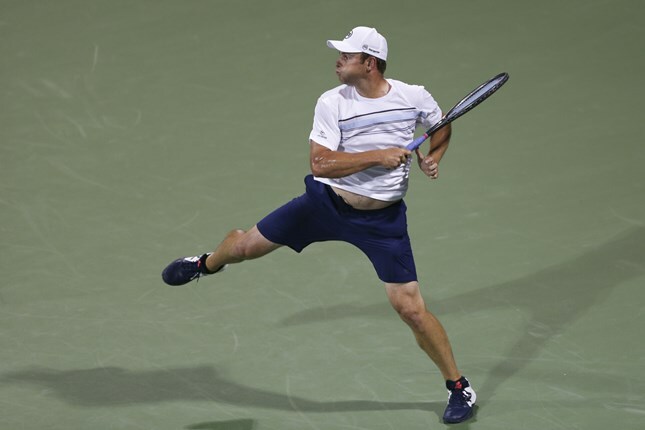 Andy Roddick has been inducted into the International Tennis Hall of Fame, an honor that is truly well-deserved and that has humbled the man who on-court was brash, charismatic, and funny and who played with his heart on his sleeve. It is an honor that Roddick was not always sure he would receive and when he was told about it, there was an element of emotion. He told me that he felt he might have been on the borderline. “I know the standard lines of how honored you are and how much it means to you (but) it's different (and) it's extremely true,” Roddick said. “I'm not Roger, I'm not Serena. I'm not one of these people where it's just a matter of years passing. So I'm incredibly thankful. I knew I was in with a shot, kind of like my playing career, but you didn't know if you were going to get over that hurdle. I have known Andy for a long time and for about five years I even worked for him providing the content for his website. It was not always easy but heck that didn’t matter. To be challenged was part of the experience. Sometimes we would agree on things and other times there would be arguments - real arguments - but there was never any malice. His sports knowledge went over my head but we’d also speak about books. I remember introducing him to the Girl with the Dragon Tattoo series and he would tell me about James Patterson’s books. Roddick didn’t have the unbridled talent of a Roger Federer but he worked his behind off to maintain his position at the top or near the top of world tennis; his awesome power on the court striking a ball was mesmerising to watch. The fans loved him, especially in New York. He was like one of them when he played and maybe reminded them of Jimmy Connors. One could not help but respect Roddick regardless of what one might have thought of him. He was and remains up-front and never had someone else do his dirty work for him. Andy set four goals during his early playing career: win the US Open, win Wimbledon, win the Davis Cup by BNP Paribas, and be world No.1. Three were achieved but despite not winning Wimbledon, Roddick still played on one of the most memorable Grand Slam finals ever against Federer there. For Andy there were no regrets. Still, on World Tennis Day, March 6, that is what he will experience at Madison Square Garden for the BNP Paribas Showdown. You know for sure he will enjoy every minute of it and so too will the fans.